The Edmonton Academy will be closing Monday and Tuesday classes from Dec. 14, 2015 until Jan. 12, 2016 inclusive as the instructor for those days is on medical leave and I will be in Japan. Wednesday am and pm, Thursday, and Friday classes will all run as per our usual schedule. I encourage those who attend our Monday and Tuesday classes to move temporarily to one or more of the Wednesday to Friday classes. Sword Thursday is particularly fun. Sorry for the short notice and wishing Yen Gee a speedy recovery. Monday and Tuesday classes will resume Jan. 18, 2016. Our Academy holidays will start Dec. 19 and we will reopen Jan. 6, 2016. Wishing all an interesting Holiday and keep doing Taiji and Qigong – practice makes perfect especially as probably too much food is coming. I finally got the few photos I have access to sorted and edited so this is quite a late posting of the Edmonton International Qigong/ Taiji Day Showcase from April 26, 2014.
and participate in our Demos of Chen Taiji, Hunyuan Taiji, Qigong, Weapons and Foundations for FREE. Sunday April 27 will be a short Seminar Introduction to Silk Reeling and Detailed Qigong for only $50. Attend from 9 am to noon to become involved in this exciting exploration and introduction. remain as usual, except there will be no Wednesday morning class until Jan. 22. Best wishes for the holidays and hoping to see you in the New Year! The annual 7 day Edmonton Seminar with Grandmaster Chen Zhonghua and Master Allan Belsheim will be held at the Hunyuantaiji Academy 5222- 86 street, Edmonton Alberta from Saturday June 29 to Friday July 5 (9 am to 4:30 pm daily). The Edmonton Full Time Training session will be held September 24 until December 21, 2012 so let me know soon if you will be attending. 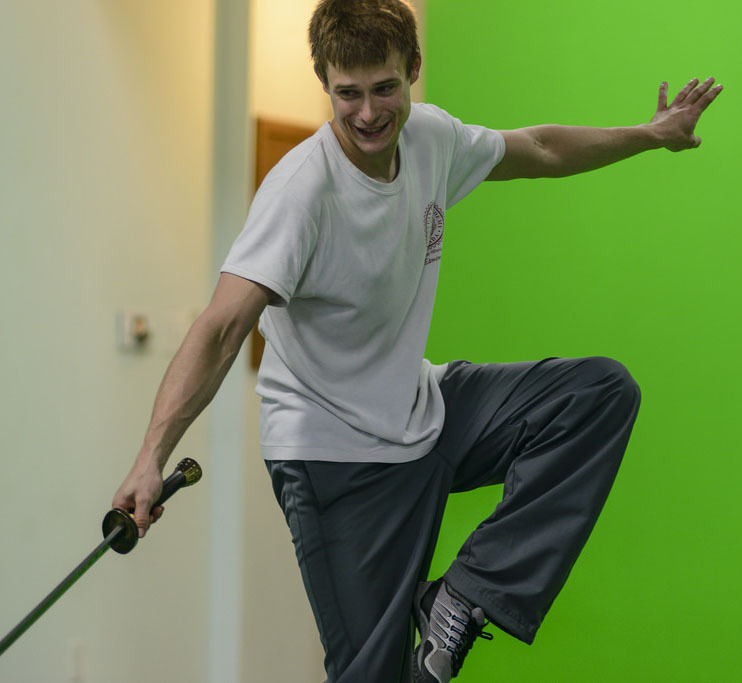 Edmonton, the Home of Grandmaster Chen Zhonghua, has a reputation as being able to give you an incredible amount of instruction for the time you are here. I would like to remind everyone (and invite those interested) that on September 24, 2012 Edmonton Full Time training will start and continue until December 21. This would be an excellent time for those who would relish this type of training and a North American location to visit Edmonton. Edmonton has few distractions to interrupt training so is ideal for learning. 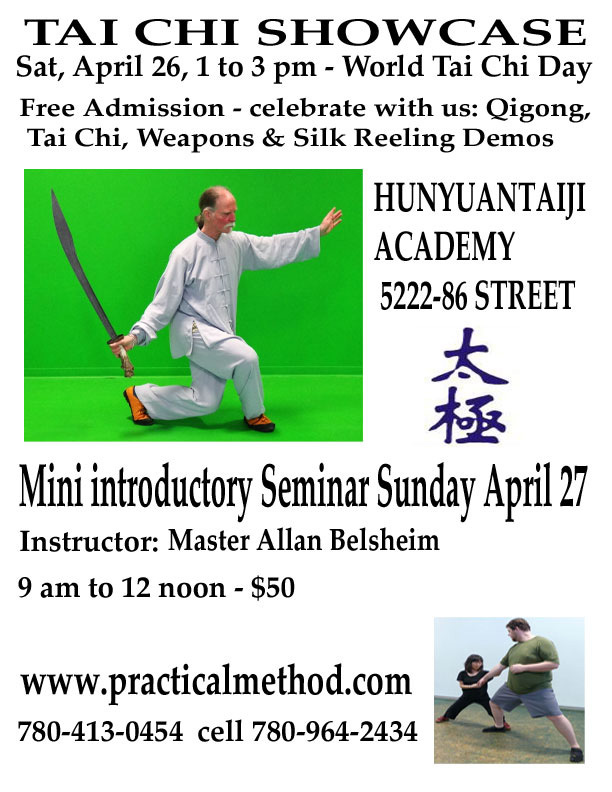 Edmonton Hunyuantaiji Academy is having a Seminar and combining it with an Open House this year. The Seminar covers Foundations, Yilu and corrections, Theory and Push Hands as well as the possibility of Broadsword review. Seminar starts at 9 am and ends at 5 pm. Open House is from 10 am to 1 pm. We are holding an Open House August 27 (Saturday) and August 28 (Sunday) from 10 am to 1 pm. Our address is 5222 – 86 street and we are giving FREE LESSONS. Come and see what the Chen Style Practical Method as well as the Chen Style Xinyi Hunyuan Taijiquan and Qigong are all about and what we can do to to give you the best Taiji experience – ever! Hunyuantaiji Academy of Edmonton will hold an Open House this weekend – May 7 (Saturday) and May 8 (Sunday) from 10 am to 1 pm. Address: 5222 – 86 street Demonstrations and information both days, with a free lesson for anyone attending on Sunday (Mother’s Day). Plan on attending both days!! Full Time training is starting in Daqingshan, China and a more perfect exotic location and experience is hard to imagine. Why train Full Time in Edmonton this Fall from September 5 to December 5, 2011 then? There will be an Edmonton Taiji Seminar starting Monday February 14 to Friday Feb. 18. Topics covered will be Foundations leading to certification, Yilu corrections and Push Hands Drills. This is an excellent opportunity to get expert Taiji instruction during the cold winter – warm up your brain and body! This Seminar is suitable for beginner to advanced. Monday and Tuesday classes will start at 8:30 am to 4:30pm, while Wednesday to Friday will be 9 am to 5 pm. Instruction will be by Allan Belsheim on Monday and Chen Zhonghua the rest of the week. Today Master Chen started with Foundation exercises led by Allan Belsheim and then the group worked on Yilu repetitions with several important corrections. Master Chen gave some personal instruction during Monday’s class regarding Push Hands. One must be able to move in without the opponent feeling the move physically. The simple answer to the complex question of what the Full Time Program of Master Chen Zhonghua was like is: incredible! The practical information and skills that were presented has been voluminous and will give all the attendees enough knowledge to work with for many years.